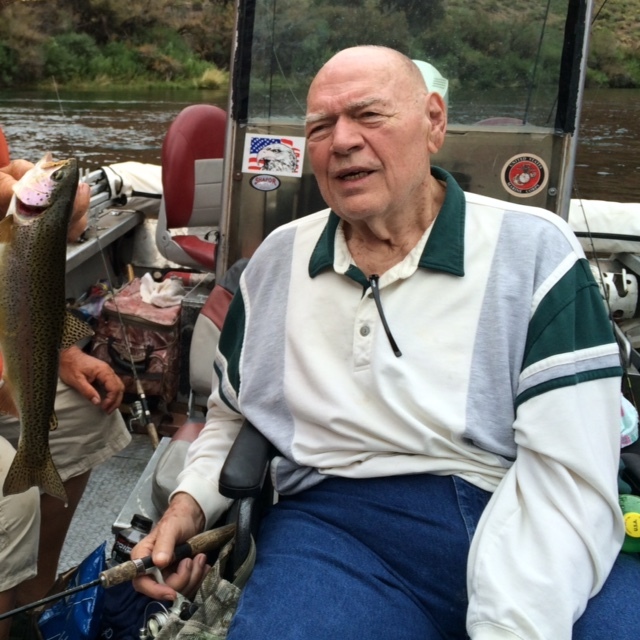 Arthur Dale Seiter, 81 passed away peacefully on September 16, 2015 in Mesa, AZ. He was born to Hellmut and Leona Shill Seiter on Christmas Day, December 25, 1933 in Provo Utah. Arthur graduated from South High School in Salt Lake City Utah, where he participated in the R.O.T.C. After graduation he enlisted in the U.S. Air Force. He married Diana Crane on December 23, 1952 in Salt Lake City, Utah. The marriage was solemnized in the Salt Lake Temple on August 21, 1956. The first four years of their marriage was spent at Mtn. Home Air Force Base, in Idaho. There they had two sons, Dwayne Lee and Kenneth Bryan. Upon finalizing his obligation to the Air Force and earning the Rank of Staff Sargent, they returned to Salt Lake City where Art joined his father’s floor covering business, and the family settled in Murray, Utah. Two more sons were added to the family, Robert Arthur and David Eugene. In 1968 he left his Father’s business and with his sons started his own floor covering company, “Interwest Floors” specializing in commercial floors, the business grew to service all of Utah, Idaho, Wyoming, and Nevada. They worked hard, played hard and enjoyed many family vacations together, and enjoyed the time they spent with each other. In 1978 they moved to Scottsdale, Arizona for Diana’s health. In Arizona Arthur and Diana started a family business in floor coverings, “Sun Country Floors”. After a short time they moved to Mesa, AZ where Arthur still resided when he passed away. Their four sons married and the family grew with grandkids and great grandkids. Arthur and Diana had many special moments together in their 60 years of marriage. They had opportunities to travel, such as their trip to England where they worked on genealogy and met many family members that they corresponded with for many years after. Arthur was active in The Church of Jesus Christ of Latter Day Saints, as well as many charities and other organizations, including the Sons of the Utah Pioneers. Arthur was preceded in death by Diana his sweetheart of more than 60 years in 2012, his parents, and a great grandson Chase Bryan Hunt in 2011, He is survived by his brother Terry, sisters Joy, Prilla and Dixie, sister-in-law Cheryl, his four sons and daughters in law, Dwayne Lee and Patti Edwards, Kenneth Bryan and Calie Mae Skinner, Robert Arthur and Jenifer Allen, David Eugene and Tracy Dalrymple. Grandchildren, Shawni, Mindy, Wesley, Travis, Brooke, Joshua, Nicole, Heather, Megan, Kyle, Angela, Jed, Jake, Austin and Hayley. Arthur is also survived by 38 great grandchildren. Thanks dad for all you taught me, the example you set on how to be a good husband and father, I will miss you, I love you!